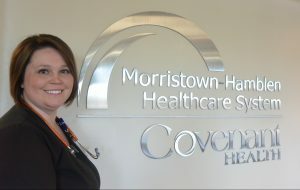 Why did you choose to work at Morristown-Hamblen? I wanted to provide the best patient care. What are your goals in working at Morristown-Hamblen? To provide the best patient care and one day advance to a nurse manager. If you could have dinner with anyone, alive or dead, who would it be? Morgan Freeman, because I love to hear his voice. What is your greatest accomplishment? My children, two boys and one girl. Would you choose a free trip or money? Free trip to Hawaii at their Disney Resort with my kids for a trip of a lifetime. What is your favorite childhood memory? My very first Disney vacation with my family as a child. We hope you enjoyed getting to know Aneisty and please stay tuned for the next Meet the Staff Monday.